When doing botanical paintings, which I've been doing plenty of lately, I bring the flowers inside to use as reference. This makes for lots of flowers that are lovely in a bouquet together. 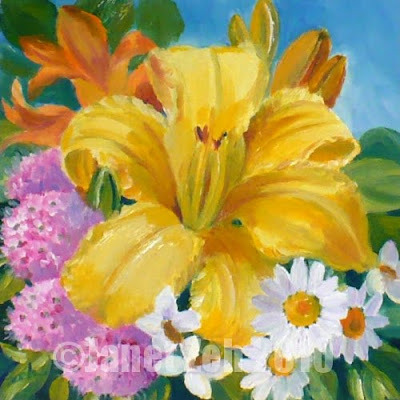 So, this time, I've decided to paint some of the flowers in one of my vases. These are flowers that are blooming in my garden right now. They make a pretty bouquet, don't you think?